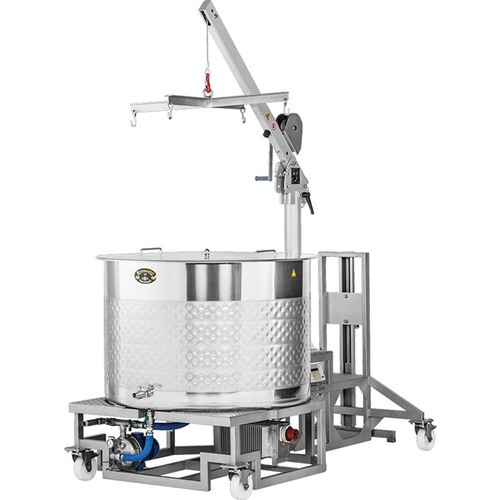 The Braumeister: A patented, electric, self-contained all-grain brewing system producing 145 gallons of wort per brew. 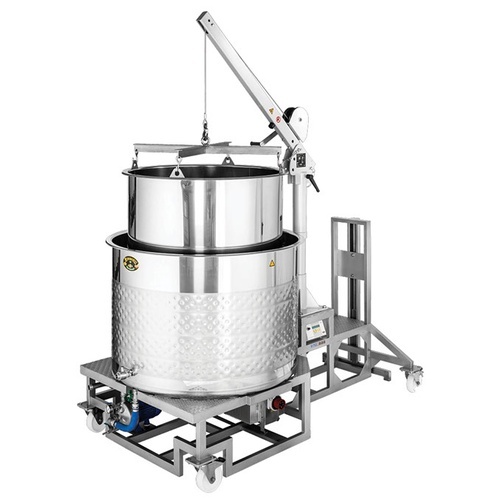 The beauty of the Speidel Braumeister is in simplicity and relatively small footprint. This product is not part of our free shipping policy, however we only charge actual freight from our California Warehouse to your location. After the grain basket is removed with the included winch you will begin a traditional boil for 60 to 90 minutes. After the boil is over you connect to your glycol system (see our Kreyer Chilly45, GLY410) and use the built in dimpled cooling jacket to cool the wort down. Simple.